This review first appeared in the August 2010 issue of hiend hifi magazine High Fidelity of Poland. 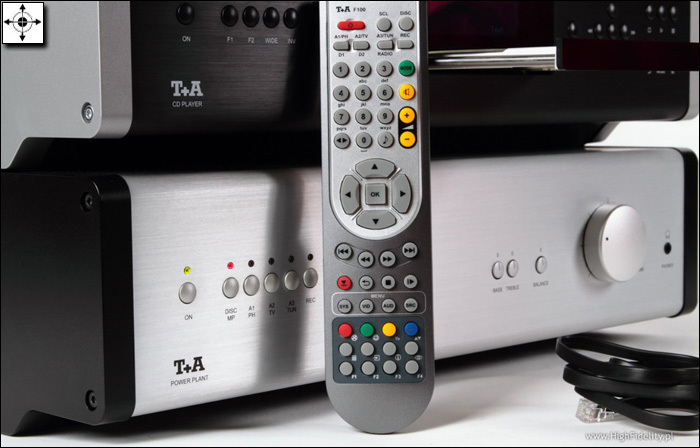 You can also read this review of the T+A E-Series components in its original Polish version. We publish its English translation in a mutual syndication arrangement with publisher Wojciech Pacula. As is customary for our own reviews, the writer's signature at review's end shows an e-mail address should you have questions or wish to send feedback. All images contained in this review are the property of High Fidelity or T+A - Ed. 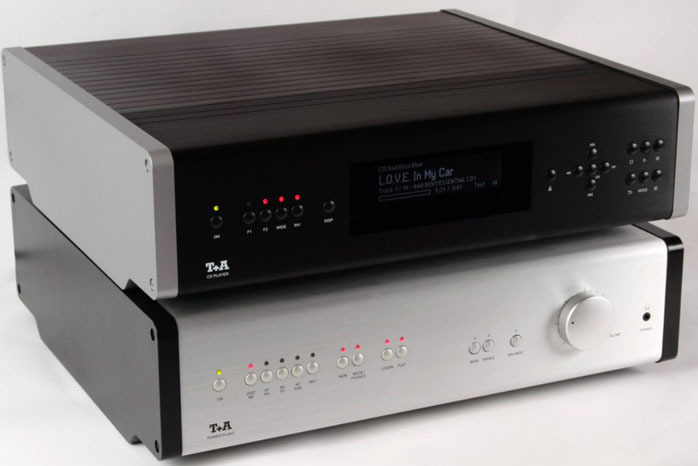 I wrote about the T+A elektroakustik company during the review of their PA 1260 R amplifier already. 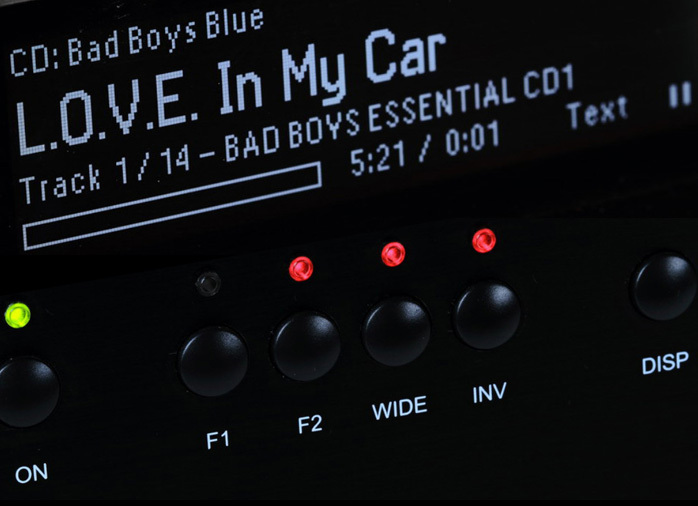 For Audio I then wrote up the SACD 1260 R and E-Series Music Player MkII to be well familiar with the firm. Now was the first time however that I had a full system composed of the E-series CD player and Power Plant MkII, both below the ‘R’ range (one could substitute the CD player for the 9900zł file player which also sport a built-in CD drive). T+A gear has its own very characteristic industrial design. It’s very clean but not sterile, with features many audiophile products eliminate to hype short signal paths or cut costs. T+A engineers walk a different beat. They try to understand what customers expect from a system, not what their engineers want to do. Perhaps this isn’t the purest approach for sonics but it certainly is the most service-oriented one. Spending a lot of money on hifi, we (should) expect not just good sound but reliability and versatility. That’s exactly what T+A products are all on about even in their most affordable models as reviewed today. Both CD player and integrated amplifier have the same footprint, size and shape. The sides are rigid molded plastic, top, front and bottom aluminum. The top covers extend over the rear plugs to protect them while a reinforcement lip stiffens the sides. These components are highly functional. With the CD player we get a big LCD display for track/time information, CD text, a bar graph showing the position on the track etc. The display can be dimmed in three steps. We also get three different filters, two digital and one analog reconstruction. Those can be used to fine-tune the sound. There’s also absolute polarity inversion. 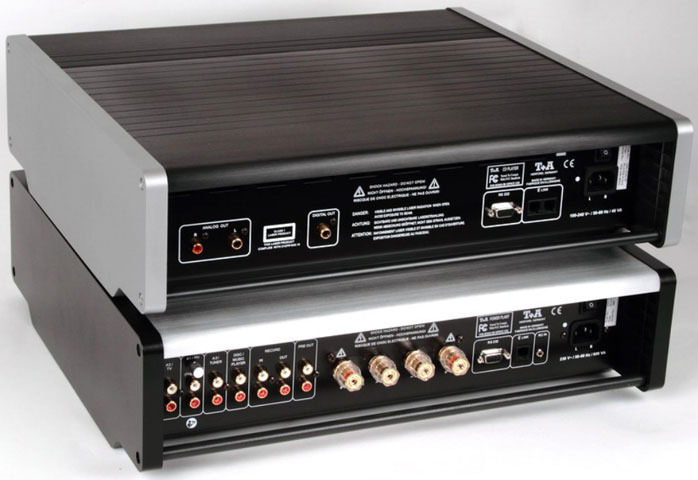 The amplifier has tone controls with nicely retractable knobs which can be bypassed; loudness and balance controls; a headphone mini jack; and optionally MM/MC phono. The player can connect via E-link to have one remote control both pieces with some additional automation thrown in. Putting the CDP in standby will prompt the amp to do the same while turning on the CDP switches the amp’s input to CD. The remote bundled with the CD is the F100 system remote which can control all T+A products. The buttons are not lit but quite well placed and different in color and shape. Discs used in the test: 7 dusz, soundtrack, muz. Angelo Milli, Sony/Geneon/Rambling Records, GNCE-7044, CD; Acoustic Session Vol. 1, sampler Dynaudio, 2 Meter Sessies/2X2 Holding, 944.A014.058, CD; Blade Runner, soundtrack, muz. Vangelis, Universal, UICY-1401/3, Special Edition, 3 x CD; Bad Boys Blue, Bad Boys Essential, Warner Music Poland/4everMusic, 152/153/154, 3 x CD; Diorama, Cubed Deluxe Edition, Acsession Records, A 114, 2 x CD; Fancy, 25th Anniversary Box, Metronome Musik/4everMusic, 141-145, 5 x CD; Kay Starr, Blue Starr, RCA Records/BMG Japan, BVCJ-37389, K2 CD; Laurie Allyn, Paradise, Mode Records/Muzak, MZCS-1124, CD; Laurie Anderson, Bright Red, Warner Bros., 45534, CD; Lee Morgan, Tom Cat, Blue Note/Audio Wave, AWMXR-0008, XRCD24; Sonny Rollins Quintet and Quartet, Movin’ Out, Prestige/JVC, VICJ-61339, K2 HD CD; Tomasz Stańko Quartet, Lontano, ECM Records, ECM 1980, CD. I could not help compare the T+A gear to McIntosh. This connection was in my head for some time and only confirmed itself in subsequent listening sessions, photographs, tech data and such. Here we have a very thorough honest approach with solid constructions and obvious care for all technical and safety parameters. It’s about a very precise, absolutely solid sound. There is no romance or strain. On a diagram with an axis placing warm components to the left and cold ones to the right, the T+A system would sit exactly in the middle just like most McIntosh equipment. This is not a sound that will appeal to our sensitivity, to our sense of quietness, comfort or need for clinical dissection into primary parts. This is simply neutrality. Both devices perform very similar hence neither dominates the other. What’s more, the Power Plant’s headphone output mirrors the sonics of the speaker terminals. This one might take for granted because in most cases (not here) the headphone signal is tapped from the main terminals to overtly favor the speakers. But T+A runs a dedicated headphone circuit.